Kaikenlaista robotiikkaa pukkaa jatkuvasti turvallisuuden nimissä. In a bid to make local communities safer and give local law enforcement agencies more tools to fight crime, California-based Knightscope recently unveiled a line of K5 robots that it believes will "predict and prevent crime with an innovative combination of hardware, software and social engagement." 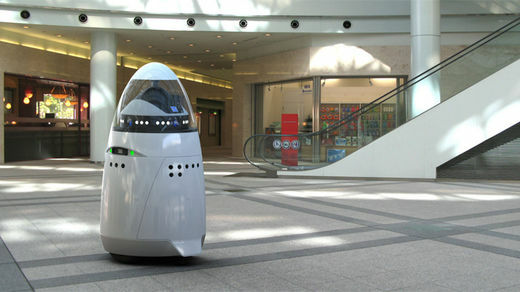 The new K5 units have a look that resembles R2-D2 from "Star Wars," but their casual design masks a highly advanced robot that its creators hope will drastically cut down on crime. Weighing in at 300 pounds, the five-foot K5 can patrol a neighborhood and uses a built-in laser to form a 3D map of the surrounding area in 270-degree sweeps. Four built-in cameras, meanwhile, are capable of scanning up to 1,500 license plates a minute.